When experiencing a condition like hearing loss, which can have a significant impact on the quality of your life, it is important to have the right information so that you can make informed decisions. 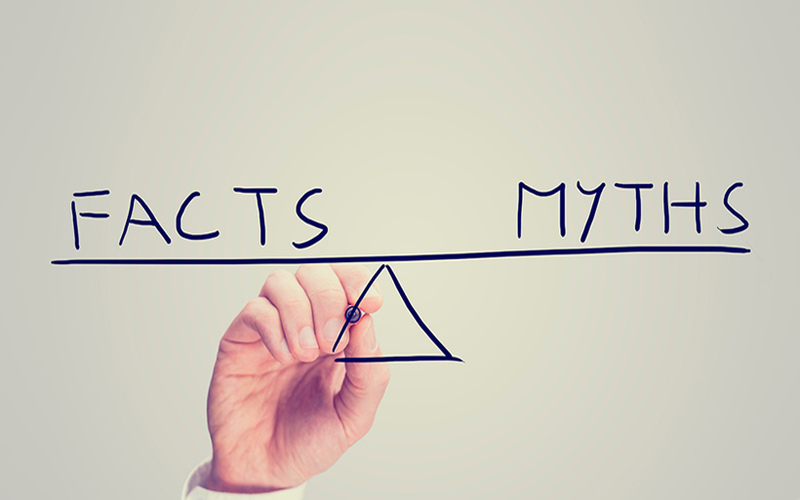 However, myths about hearing loss tend often result in people not getting the help that they need. Here are 10 frequent hearing loss myths that could be preventing you or a loved one from getting the help you need. Hearing loss typically occurs gradually, so you may not realize that your hearing is diminishing. As your hearing deteriorates, you may find yourself increasing the volume of your television or continually asking people to repeat what they’re saying. Different hearing loss cases require different hearing aids. With the wide range of hearing aids available, you can find one with the right technology that can address your hearing loss situation and suite your lifestyle. Common side effects of hearing loss include depression and withdrawal from social activities. It can also affect your relationships with those around you. Confronting your hearing loss can help you become re-engaged in your life. Postponing treatment for your hearing loss will only ensure that your hearing will worsen over time. Hearing aids can be a valuable resource, but they are only useful if you still have some hearing. Surgery may be a viable option for some cases, but not for all. In fact, only a few forms of hearing loss can be treated with surgery. This can place a burden on the people in your life. Family members, friends, and others could come to resent being asked to continually repeat themselves or having to endure increased volumes for someone who may be able to remedy their hearing issue by using the right type of hearing aid. There are many factors that contribute to hearing loss, only one of which is aging. Hearing loss can affect anyone at any age due to disease, medications that are toxic to the ears, or environmental factors. The majority of the different types of hearing loss will actually affect both ears. While you may believe that you have better hearing in your other ear, the truth may be that you tend to favor that ear for activities that involve hearing, such as using the telephone. A low percentage of physicians will routinely screen for hearing loss when examining patients during a physical. Also, primary care physicians do not generally receive the training of licensing hearing specialists or audiologists, who are able to detect subtle indications of hearing loss. According to research from John Hopkins University, people who have hearing loss have a higher chance of developing depression and dementia. Additional studies also indicate that hearing loss can impair your balance.